Invitation to contribute a chapter to an edited volume: The Handbook of Service Innovation, which will be published by Springer-Verlag in January 2014. The book seeks to have a collection of chapters addressing contemporary issues in service innovation, and is envisioned to encompass both conceptual and applied contributions, as well as cases that cross various disciplines. This may also include examples of some failed service innovation attempts to demonstrate the reality and balanced view of the topic, and with pitfalls to be avoided. Finally, the book aims to culminate into a suggested step-by-step guide to introducing and managing effective service innovation. How do we manage service innovation in the 21st century with customers and partners co-creating value and participating in the innovation value chain of the organizations – be it MNCs, NGOs, SMEs, public/private sector including universities and governments? Rather than reflexively importing innovation best practices, managers should adopt a tailored, end-to-end approach to generating, converting, and diffusing ideas. How is innovation governance structured for maximizing the benefit of innovation? What needs to be considered in creating governance roles and responsibilities? What approaches are available to consider the right innovation governance for the organization? This includes focus on open innovation, top-down and bottom-up innovation, and myths of innovation. Skills and capability building in service innovation: What sort of innovation skills are required to foster innovation within the organization and government agencies? How do we acquire or teach innovation skills? What novel capabilities are at play to achieve service innovation in complex service systems? Technological developments in service innovation: Discussion of the enabling (or killer application) role of new technologies and architectures, including ubiquitous computing, cloud computing, security and privacy, and service oriented architecture (SOA) in the development and/or roll out of service innovations. o Creating a service innovation strategy – what goes into it in practise? Is it due to collaboration – plug and play or strategic? What role collaboration has in exerting service innovation? What should organisations do to manage collaborative effort? Should there be genuine resource, investment and effort invested by organisations to encourage collaboration? o Broadly how do we manage resources for innovation? How do you overcome challenges with assigning innovation centric resources in organizations? What can we learn from the examples of P&G, Vodafone, governments of Singapore, Hong Kong, India and Estonia etc. o Funding innovation – how do we fund innovation amidst austerity? Is frugal innovation the solution under the new economic reality? What lessons could companies and governments learn from the experiences of the developing countries like India that have been operating within a framework of frugal innovation? o Measuring innovation – setting outcomes and measuring against them needs to be discussed in detail as this is the hardest of the innovation topics. Industry and government examples will be solicited to illustrate the issue of intangibility of services and challenges in measuring/protecting (patenting) the service innovation as well as linkage to productivity. o Role of culture in innovation – this is possibly the most important accelerator or inhibitor of innovation. Examples from industry – P&G, Google, govt. of Ireland, several counties in USA are great examples, while discussion on complacency needs to be included to illustrate the dangers of stagnation. Discussion of the importance to establish an innovation culture as the DNA of the organization, as well as how such a culture can be embraced throughout the organization. o The service innovation life cycle – discuss various stages from start of the service innovation idea till phase-out of a particular innovation initiative. Having a structured service innovation process is critical to not only get the best of the ideation through broad and open participation, but to also ensure avoidance of resource wastage or otherwise use of resources as it changes over the life cycle. How to streamline a service innovation program? How to work the power of the wider community and embed into adopting the innovation approach? Role of government in encouraging R&D in the wider idea of service innovation, not just technological innovation: Discussion of incentives that need to be provided to spur public and private sector service innovation. Could increasing private-public partnerships help business and governments innovate on service delivery? Could universities and academia be innovation catalysts? What lessons can be learnt from the experiences of reverse or frugal innovation from the sub-continent and other developing countries? The deadline for submission of a 2-3 page proposal is October 15, 2012. Nevertheless, we would appreciate if you could communicate your intention to submit a manuscript to renu.agarwal@uts.edu.au via email latest by 15 September 2012. Should you have any questions or concerns, please do not hesitate to contact any member of the Editorial Team listed below. We would like to thank you in advance for your interest and contribution to the handbook. We look forward to hearing from you. Researchers and practitioners are invited to submit their book chapter proposals (see attached Book Chapter Proposal Requirements file) on or before October 15, 2012, which will include an abstract and a 2-3 page chapter proposal clearly explaining the mission and topic area of the proposed chapter. Authors of accepted proposals will be notified latest by 31 December 2012 about the status of their proposals and successful authors will be sent chapter guidelines. Chapter contributions are by invitation only and will be blind reviewed by the editorial team. Full chapters are expected to be submitted by April 30, 2013. The book shall be published both in hard copy and online in January 2014. All book chapter proposals are to be sent to renu.agarwal@uts.edu.au with the heading titled – “Chapter Proposal for The Handbook of Service Innovation”. Invitation to contribute a chapter to an edited volume: Succeeding in a High Cost Operating Environment, which will be published by IGI Global. Competing in a high cost environment is a completely different proposition to competing in a low cost environment. This is particularly true for the manufacturing industry, which is confronting both intense and growing global competition and fundamental shifts in the very nature of manufacturing itself. The operating environment in many countries have moved or is moving from a relatively low or medium cost operating environment towards a high cost operating environment, with the continuous emergence of new competing locations. This changes the basis for competition for many firms, industries, and jurisdictions from one focused on imitation and efficiency to one of innovation and effectiveness. This requires an associated move in the economic lens at a policy level from neo-classical to evolutionary. To date, this journey has not been well described in the literature and hence there is very little guidance for action by firms, industries, regions or economic policy makers (i.e. the micro, meso and macro level) forced to make this journey. This book aims to draw on studies and research projects comparing successful micro, meso and macro approaches in traditional high cost countries (like Switzerland, Germany, Sweden, Finland and Norway) with successful micro, meso and macro approaches in low cost jurisdictions. In addition, it will pay special attention to jurisdictions that have made the journey from low to high cost operating environment very rapidly, like e.g. Australia. The book seeks to have a collection of chapters addressing contemporary issues relating to what it takes for a firm to succeed in a high-operating cost environment and the policy actions that facilitate this success. 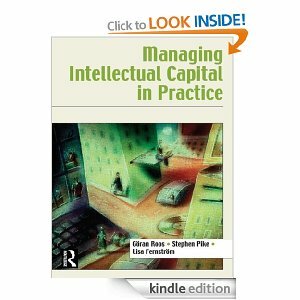 The book aims to encompass both conceptual and applied contributions, as well as cases that cross various disciplines. This may also include examples of failed approaches with analysis to demonstrate the reality and balanced view of the topic, including the pitfalls to be avoided. Finally, the book will draw out and synthesise recommendations for an effective approach to success in a high operating cost environment -for enterprises and workplaces at the micro level, for those involved at the sectoral, cluster or regional level, and at an economy-wide macro level. All submitted chapters will undergo a double-blind peer review by 2-3 anonymous reviewers. 1. What is the proposed book chapter’s title? (you are welcome to provide a few sample titles if you so wish). 2. Who are the book chapter’s authors? Please provide contact information for each author as well as very short bios (include relevant work experience, education, writing and speaking experience, relevant professional memberships and any distinguishing information). 1. Please begin with an extended abstract and list keywords at the end of the abstract. Your abstract should state what the topic is is; who the audience is, why your topic is important, what your contribution is, and how the reader will benefit including implications to stakeholders, organizations or government. This should not exceed 2 pages using 1.5 lines spacing using Times New Roman Font size 11. There is no requirement for sub-headings within the extended abstract. 2. Prepare an additional page or less on your unique preparation to author the proposed topic to enable submission of a full Book Chapter by February 28, 2013, if selected. Specifically, also highlight key accomplishments in your academic and professional career that qualify you as an expert authority on this topic. 3. Provide a proposed Table-of-Contents for the Book Chapter with sub-heads down to the third level if necessary. 4. Provide relevance if you are able to use this chapter in your executive teaching and/or consulting practice. 5. All authors must submit their abstracts to Prof. Göran Roos via email: goran@roos.org.uk with the subject heading “Chapter Proposal for Succeeding in a High Cost Operating Environment ” followed by your Book Chapter topic. 6. You will be informed about the acceptance of your book chapter submission within two weeks of receipt and will be required to submit a book chapter thereafter with a maximum of 8000 word count [unless otherwise agreed] (excluding references, appendix etc) by February 28, 2013. Should you have any questions or concerns, please do not hesitate to contact any member of the Editorial Team listed below. We would like to thank you in advance for your interest and contribution to the handbook. For any kind of queries related to “Succeeding in a High Cost Operating Environment”, please contact Prof. Göran Roos (email: goran@roos.org.uk) . Chapter proposals are to be sent to goran@roos.org.uk with the heading titled – “Chapter Proposal for Succeeding in a High Cost Operating Environment “. RECENT PAPERS, BOOK CHAPTERS, ETC.